Africa is such a vast and diverse continent, and no two destinations are the same. And with diversity comes variety; so no matter where you go next on your African safari, your experience will be completely unique to the last. From the elusive Leopard to the endangered Northern White Rhino, the incredible wildlife of Africa is dependent on so many different elements of the earth; weather and climate play a very big part in where and how these amazing creatures live. So if you’re wondering when and where to go on your next safari holiday, take a look at our breakdown by month / top destinations below. January is one of the driest months in Tanzania, which means low vegetation and busy waterholes and rivers. So if you’re looking for the best time to spot game, January could be the best month to travel outside of the typical dry season (June-October). But the main reason why many travellers choose January, February and March for Tanzania travel is that Jan-March weather is best suited for climbing Kilimanjaro. Within these months, the weather is usually colder (with higher possibility of snow on the summit) and the slopes are normally quieter at this time of the year. Best for: elephants, leopards, antelopes, primates, hippos, buffalo, black rhinos, lions. January to March is a fairly good time to visit North Mozambique; areas such as Cabo Delgado Province and the Quirimbas Archipelago. The same doesn’t apply to the South of Mozambique as the rainy season can cause washed-out roads and floods in the central and southern areas of the country. The beautiful Quirimbas Archipelago consists of 32 islands including Quirimba, Metundo, Quisiva, Matemo and Rolas – and here the climate differs quite dramatically to the South of Mozambique as it almost borders Tanzania. The tropical climate of the islands makes it ideal to visit almost any time of year. Best for: marine life and bird watching. Both Northern and Southern Mozambique are wonderful at this time of year. April and May are the months when the rainy season subsides. Mozambique’s coastline stretches for over 1,000 miles with latitudes ranging from 11°C to 27°C but the whole country follows a broadly South African climate, meaning that December-March is the typical wet season. By April and May, the rain stops, days become sunnier, and humidity drops back down to a more comfortable level. The North has the great Cabo Delgado Province and the beautiful islands of the Quirimbas Archipelago, whilst the South has the World Heritage Site coastline and Ilha De Mozambique in the Nampula Province. There is also a fantastic Elephant Park Reserve not too far from Mozambique’s capital, Maputo. Best for: African Bush Elephant, monkeys, baboons, hippos, birdlife and marine animals. This is the land of contrasts; with two great deserts, a huge canyon and a striking coastline, the country of Namibia is fascinating in every way. For the best weather, we would definitely recommend going in April and May when you can enjoy more moderate temperatures (and low to no chance of rainfall). During this period, you can also enjoy a wonderfully green landscape as Namibia just about comes out of the wet season. South of the Sahara, Namibia is Africa’s driest country and the Namib Desert is a great place to spot wildlife and plant species that you can’t find anywhere else in the world. Unusual plant-life in the desert includes the strange Welwitschia Mirabilis which is a shrub-like plant that has incredible survival in the most testing conditions. Best for: antelopes, gazelles, ostriches, giraffes and desert elephants. There are two optimum periods to travel to Seychelles – and that’s April/May or Sept-Nov. During the months of April and May, the Seychelles islands are simply paradise. Blessed with a tropical climate, holiday makers can enjoy warm weather all year round. But if you’re after the ultimate diving and snorkelling conditions, you have to visit during April or May. Water temperatures are gloriously divine and the visibility can be anything up to 30 metres or even higher! The Seychellesislands are said to be some of the best diving destinations in the world and some of our favourite dive spots include Brissare Rocks, Fisherman’s Cove Reef, The Shark Bank and Vista Bay Rocks. Best for: Hawksbill Turtle, Grey Reef Shark, barracudas, lion fish, lobsters, rays and soldierfish. 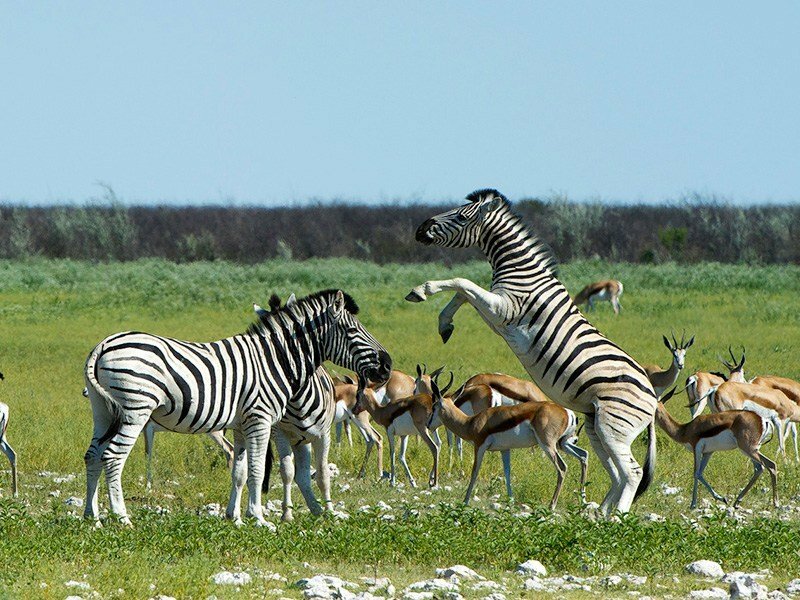 Botswana is a great safari destination; it’s home to the beautiful wetland of Okavango Delta, the Kalahari Desert, the grasslands of the Linyati and the famous Chobe National Park. And the breath-taking Victoria Falls – one of the natural wonders of the world – can be seen from Botswana. The best time to visit the wetter parts of the country (such as the Okavango Delta and Chobe National Park) is definitely during the months of June, July and August. With less vegetation, there will be a high concentrate of animals around rivers and waterholes, making it extremely easy to spot wildlife. In July and August, you will also have the benefit of slightly smaller crowds – although Chobe National Park tends to be busy all year round. And the skies will be clear and less humid so there will also be fewer mosquitos. Best for: elephants, hippos, buffalo, warthogs, crocodiles, lizards, impalas, giraffes, lions and leopards. This is most definitely one of the best times to visit Northern Mozambique. The weather is hot and dry, making beach life on the Quirimbas islands absolutely glorious. In August, you may even be lucky enough to catch sight of the migrating Humpback Whale if you go diving near Medjumbe Island. The whales start their migration in August and they can be seen moving until around October time. Other than the amazing Humpback, you can also spot dolphins almost any time of year. Best for: Humpback Whales, dolphins and other marine life. Between June and August, Namibia dries out and visitors can enjoy a slightly cooler climate. During the evenings, temperatures can even drop below freezing in the Namib so be sure to pack both warm and cool clothing to adapt to the contrasting temperatures. As the land starts to dry out, mammals start to venture towards nearby rivers and waterholes, making game spotting much easier. All parks are absolutely fantastic to visit during these three months, although you can expect them to be particularly busy in June time. Best for: elephants, zebra, springboks, cheetahs, rhinos, kudu, oryx, impala. Zambia is home to three impressive rivers and also the Victoria Falls. The waterways of Zambia play a huge part in fertilising the land, and here you will find some of the most spectacular plant life and wildlife. 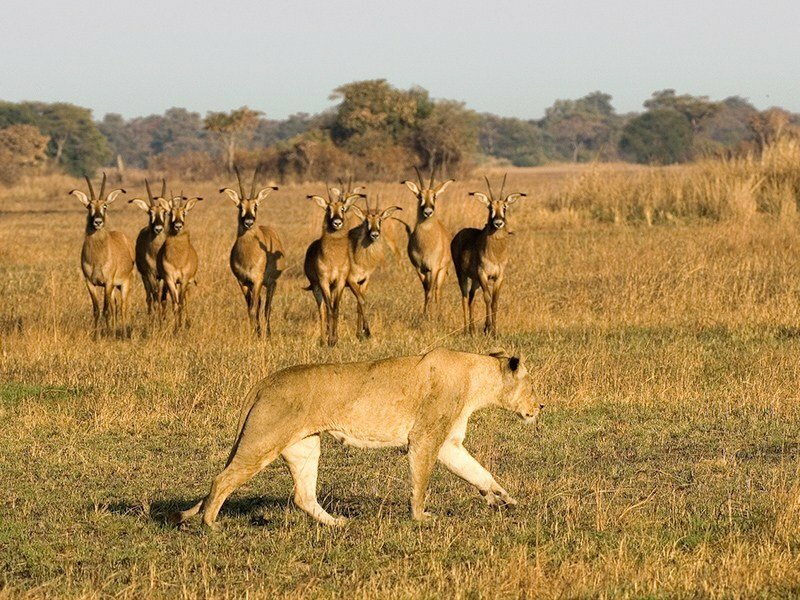 The weather in Zambia is mostly pleasant and mild all year round but the best season to visit is during the dry season if you want game viewing at its best. 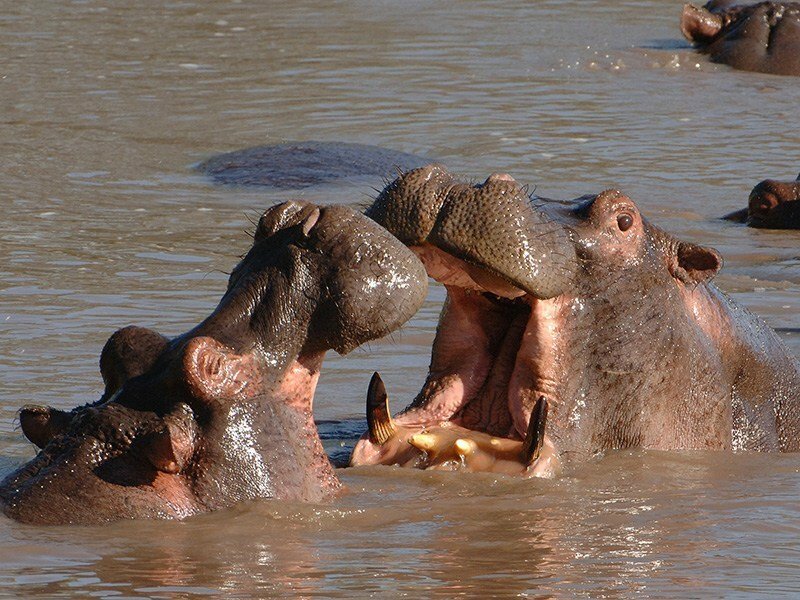 June, July and August are bang in the middle of the dry season (May-October) and the animals can be seen gravitating towards watering holes and the Zambezi, Kafue and Luangwa rivers. Chances of rain are low, mosquitos are at a minimum, and it’s a great time to see the Victoria Falls too. 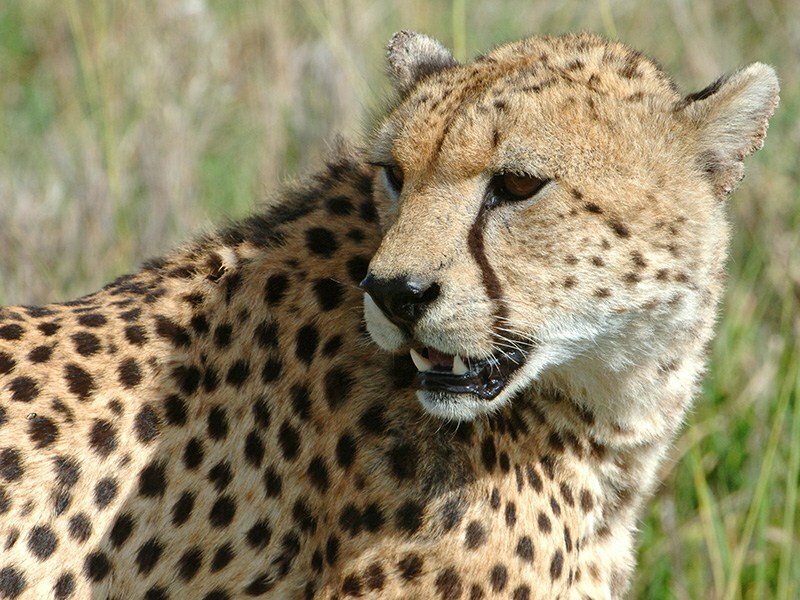 Best for: antelope, buffalo, leopards, lions, hyenas, elephants, giraffes and cheetahs. June, July and August are fantastic months to go to Tanzania if you want to catch the Great Wildebeest Migration. This spectacular sight is not to be missed if you are going on a safari holiday at this time of year; the Great Migration sees groups of wildebeest accompanied by zebras and gazelles migrating north between May and October. In June, the movement is usually halted by the Grumeti River and the large groups of wildebeest provide a huge feast for the river’s large crocodiles. By July and August, the movement continues northward with groups spreading themselves across the Grumeti Reserve or Serengeti National Park. 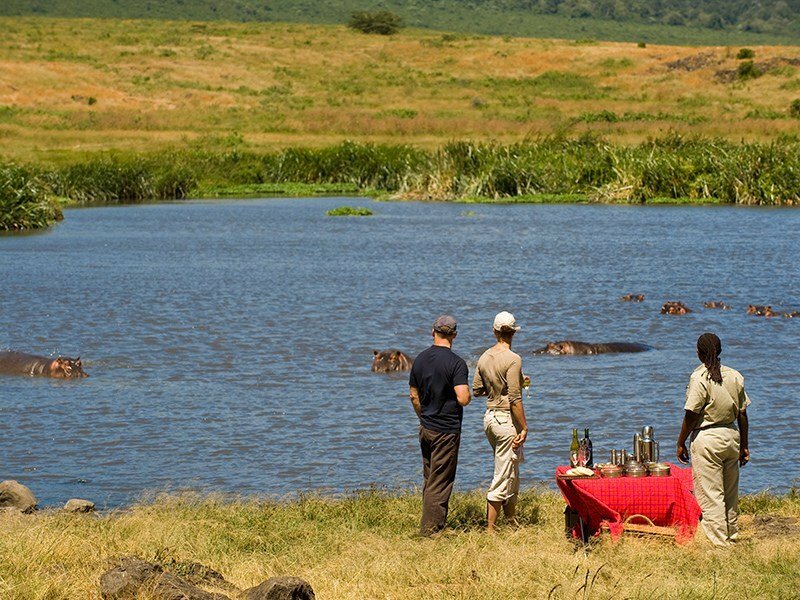 This is a peak period for tourists and safari visitors but most of the parks still don’t feel too busy so you can enjoy a pleasant safari experience without the busy crowds. Best for: wildebeest, zebra, gazelles, eland and impala. September and October, much like June/July/August are great months to go on safari in Botswana. The weather becomes extremely hot and uncomfortable towards the end of October and during the month of November. So catch the back end of the glorious high season when animals are easier to spot due to less vegetation and groups gravitating towards waterholes and rivers. You will also benefit from clear skies, milder temperatures and fewer mosquitos in the air. September and October is also the period before some of the camps start to close for November and December, so you can really get the most out of your safari experience. Remember to pack warmer clothing for early mornings and late at night when temperatures can be surprisingly cold. Malawi is without a doubt best enjoyed in September and October, the optimum months for clear waters in Lake Malawi. The lake is home to some of the most incredible fish life, and it’s a fantastic destination for swimming, snorkelling or even scuba diving. The landlocked country of Malawi doesn’t offer a shoreline but the lake provides a number of beautiful beach spots and stylish resorts. It’s a little piece of paradise and we definitely recommend it for water / beach lovers. You can also enjoy activities such as sailing and kayaking so there’s always something to do. Although not recognised as a big game safari destination, you can still spot animals at the right time of year. In addition to the vast lake, Malawi also has the Great Rift Valley, the Nyika Plateau and Mulanje Massif floodplains, Majete Game Reserve and the two national parks, Liwonde and Lengwe. Best for: elephants and birdwatching. 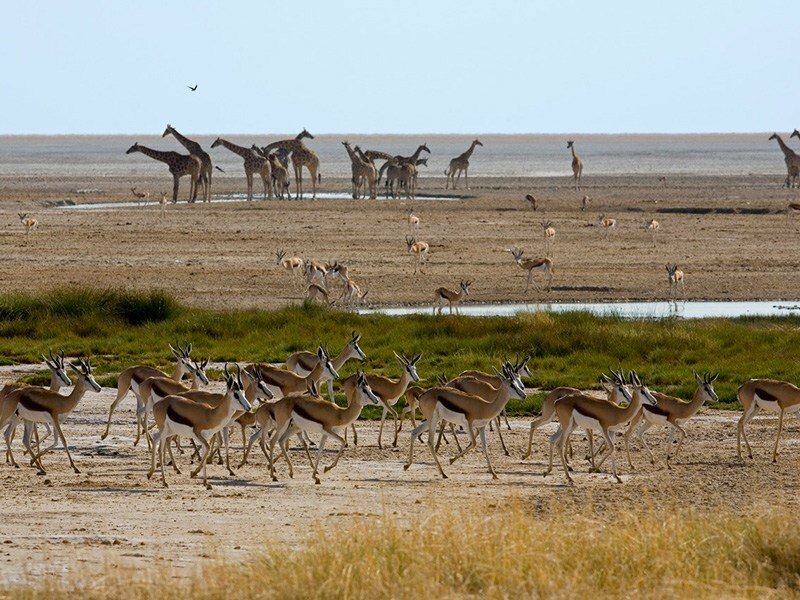 September and October in Namibia is fantastic for a varied itinerary; September is great for visiting Etosha National Park as temperatures are pretty mild and game spotting opportunities are at their highest, whilst October offers a brilliant time to visit the coast or for birding in Etosha. If you’re visiting during October, you will have the luxury of great viewing across all different parks in the country. Our Essential Namibia Silver Plus Safari Tour is ideal at this time of year, bringing you all the best highlights of the country including the Sossusvlei, the Namib Desert, the Torra Conservancy of Damaraland and the Ongava Game Reserve. The tour is a total of 6 days and starts and finishes in Windhoek. Best for: elephants, zebra, springboks, cheetahs, rhinos, kudu, oryx, impala, antelopes and birdwatching in various locations. In September and October (and even far into November) the warm and wind-free conditions make snorkelling and diving an absolute dream around the islands of Seychelles. The water temperatures can often reach 29°C or higher so they are perfect for swimming in; making Seychelles a safe and enjoyable beach destination for the entire family. The 115 coral islands are spread across almost a million square kilometres – so there’s plenty waiting to be explored! The atoll of islands is also home to the highest number of giant tortoises in the world (around 150,000 to be exact). During the months of September and October, visibility in the waters is incredible so you can expect to see as far as 30 metres or even more. Islands such as Praslin, North Island, Fregate and Denis are not to be missed – and there’s an endless list of world class dive sites across the atoll. To find out more about when and where to go for your next African safari, contact our expert teamto discuss your requirements. Alternatively, if you’re after more articles and safari travel inspiration, why not take a look at our Planning & Resources section.